The Charity Retail Association has warned that "crippling costs" could hit charity shops in the event of a no-deal Brexit. In a letter to Greg Clark, the business secretary, the CRA warns that problems created by a potential change in safety regulations if the UK leaves the European Union without a deal could create a "catastrophe" for UK charity shops. Last week the government announced plans to create its own safety marking, the UKCA, to replace the EU-owned CE markings on products in the event of a no-deal Brexit. But, in a statement released today, the CRA warned that this could have a negative impact on charity shops. 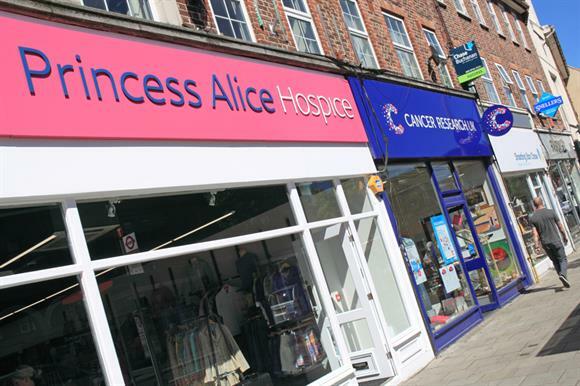 "More than 90 per cent of the goods charity shops sell are donated by members of the public," the statement said. "Donors often acquire these items several months or years before they donate them to charity, so it is likely that for some time charity shops will continue to receive items bearing a CE marking, even after a new UK marking is introduced." The statement said the charity shops that sold new goods might also have a backlog of products which would require relabelling. CRA members were concerned about "the potentially crippling costs" of holding and disposing of unsellable stock, the statement said. Robin Osterley, chief executive of the CRA, said: "If our members are unable to sell their donated stock in the event of a 'no-deal' Brexit and changes to the system of CE marking, it will be a catastrophe for this uniquely British institution. "The impact on the environment will also be extremely harmful. Charity shops currently keep 327,000 tonnes of textiles out of landfill by reusing or recycling them instead. If we can no longer do this, they will inevitably end up below ground." In the letter to Clark, Osterley calls on Clark to protect charity shops by not requiring them to change CE labels to UKCA and by guaranteeing they could sell second-hand goods bearing CE marks in perpetuity. He also calls for a grace period before a UKCA marking is required on new goods sold in charity shops. In a statement announcing the new UKCA, the government said: "If the UK leaves the EU without a deal you will still, in the majority of cases, be able to use the CE marking to demonstrate compliance with the legal requirements and to sell products on the UK market after 29 March 2019."